Last year the big guy got to decorate a Christmas tree with then-Premier Dalton McGuinty. This year, the Premier may have changed, but the big guy still got to do some fun Christmas activities at Queen's Park. 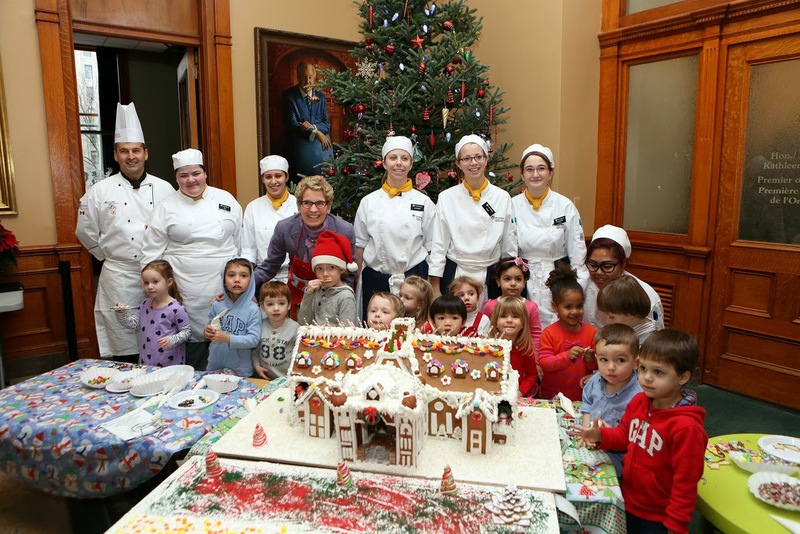 Premier Kathleen Wynne invited the daycare class to come over and decorate a gingerbread replica of Queen's Park. The result was auctioned off to raise money for the United Way. Kids and candy. When they left there were fewer candies on the gingerbread house than when they arrived. Except maybe the teachers who had to manage the sugar aftermath.